Coca Cola Historic Journey begins in 19th century by John Pemberton. Coca Cola Company Originally introduced in 1886 as French wine coca. Coca Cola, the famous carbonated soft drink brand that everyone of us know today. Coca Cola was bought out by businessman Asa Griggs Candler, who led Coke famous soft-drink of the world market throughout the 20th century. Bottling of Coca Cola occurred in 1915. Later On many sub brands of Coca Cola Company comes in the market which are still famous today. Coca Cola Historic Journey from 19th Century to 21th century is given here along with information of ingredients used in Coca Cola. Dr John S Pemberton became addicted to morphine, and decided to find a substitute for this drugs. Coca Cola recipe was formulated at Pemberton’s Eagle Drug and Chemical House, a drugstore in Columbus, Georgia. In 1886, when Atlanta and Fulton County banned the product, Pemberton develope Coca Cola, essentially a nonalcoholic version of French Wine Coca. It was initially sold as a patent medicine for five cents. A glass at soda fountains, carbonated water was good for the health. Pemberton claimed that Coca cola cured many diseases like morphine addiction, dyspepsia, neurasthenia, headache, and impotence. And he Advertise coca cola by the same process which later on reached its popularity in the market. On August 16, 1888, Dr. John Stith Pemberton suddenly died then Candler took full control of the company. May 1, 1889, Candler was now claiming full ownership of the Coca Cola beverage, with a total investment outlay by Candler for the drink. In 1986, The Coca-Cola Company merged with two of their bottling operators to form Coca Cola Enterprises Inc. In December 1991, Coca Cola Enterprises merged with the Johnston Coca Cola Bottling Group, Inc.
Cola syrup was sold as an over-the-counter diettary supplement for upset stomach and had gained the national icon in USA in 1935. Atlanta’s Fleeman’s Pharmacy, which first opened its doors in 1914 and had the tittle of running longest commercial Coca Cola soda fountain. On July 12, 1944, the one-billionth gallon of Coca Cola syrup was manufactured by The Coca Cola Company. Cans of Coke first appeared in 1955. On April 23, 1985 company decide to launch something new and then came up with the formula. Using high fructose corn syrup instead of cane sugar as the main sweetener, under the name Coca Cola Classic on July 10, 1985. In April 2007, in Canada, the name “Coca Cola Classic” was changed back to “Coca Cola”. Because “New Coke” was no longer in production, The word “Classic” was removed. But the formula remained same. on September 22, 2011, the company announced price reductions. In 2013 saw Coke products removed from Costco food courts. And it was announced that Coca Cola Life would be introduced in Argentina that would contain stevia and sugar. In August 2014 the company announced it was forming a long-term partnership with Monster Beverage. The first bottling of Coca Cola occurred in 1915 in the Coca Cola History and a few years later Candler signed a contract to manufacture bottles to a company Chattanooga, and soon it became the site of the first Coca Cola bottling company. This contract specified that bottles would be sold at 5¢ each and had no fixed duration, leading to the fixed price of Coca Cola Bottles from 1886 to 1959. 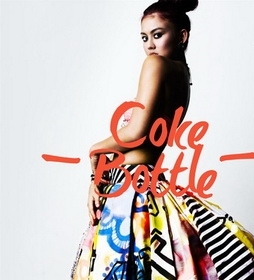 “Coke Bottle Song” is the debut international single by Indonesian singer, Agnez Mo, featuring Timbaland and T.I. “Coca Cola Songs” was written by Agnez Mo, Brandon Deener, Jocelyn Donald, James “Jim Beanz” Washington, Rommel Cummings, Clifford Harris, Jr., David “Davix Grinehouse” Foreman, Jr. The Coca Cola bottle, called the “contour bottle” within the company, was created by bottle designer “Earl R. Dean” in 1915. In 2007, the company’s logo on cans and bottles changed. Bottle Design throughout Coca Cola Historic Journey is depicted in the figures given below. A typical can of Coca Cola Ingredients 12 fl ounces/355 ml) contains 38 grams of sugar (usually in the form of HFCS), 50 mg of sodium, 0 grams fat, 0 grams potassium, and 140 calories. Five ounces of coca leaf per gallon of syrup and 34 mg of caffeine per 12 fluid ounces. Where was Coca Cola Invented? Dr John S Pemberton invented Coca Cola on 8th May 1886 in Atlanta, Georgia. He tried it out on customers at his local chemist, Jacobs’ Pharmacy, where it proved so popular it immediately went on sale at five cents a glass. Why was it called coca cola? Pemberton called for five ounces of coca leaf per gallon of syrup, a significant dose; in 1891, Candler claimed his formula (altered extensively from Pemberton’s original) contained only a tenth of this amount. Coca-Cola once contained an estimated nine milligrams of cocaine per glass. In 1903, it was removed.